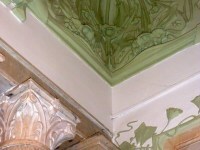 We visited the Museum of Printed Cotton in Ivanovo, which is housed in a beautiful Art Nouveau-style building, with fine interior details – stained glass, tiles and elaborate moulded cornices. 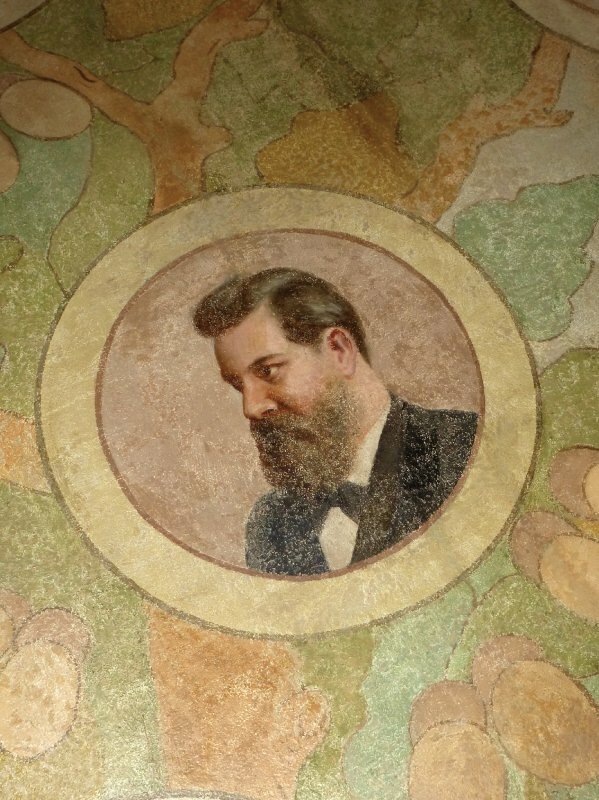 One room has portraits of industrialist and collector Dmitri Burylin and members of his family painted on the ceiling. This was Burylin’s home before the Revolution, and the Printed Cotton Museum is just one of the sites in the town housing his vast and varied collections. 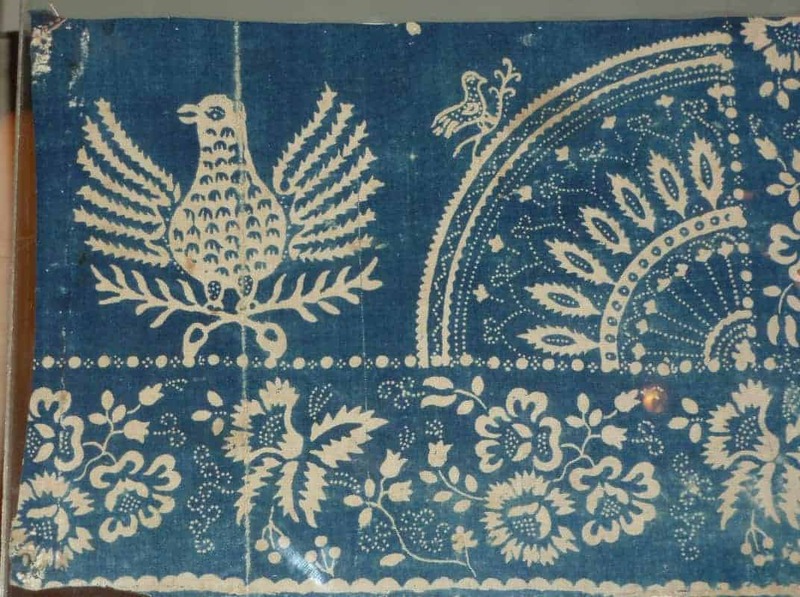 The Museum tells the story of printed textiles in Russia from the earliest days when flax was spun into linen thread, woven into cloth and then decorated by means of woodblock printing. The industrialised printing of cotton cloth led to the ousting of linen as the fabric of choice for peasant dress towards the end of the 19th century. 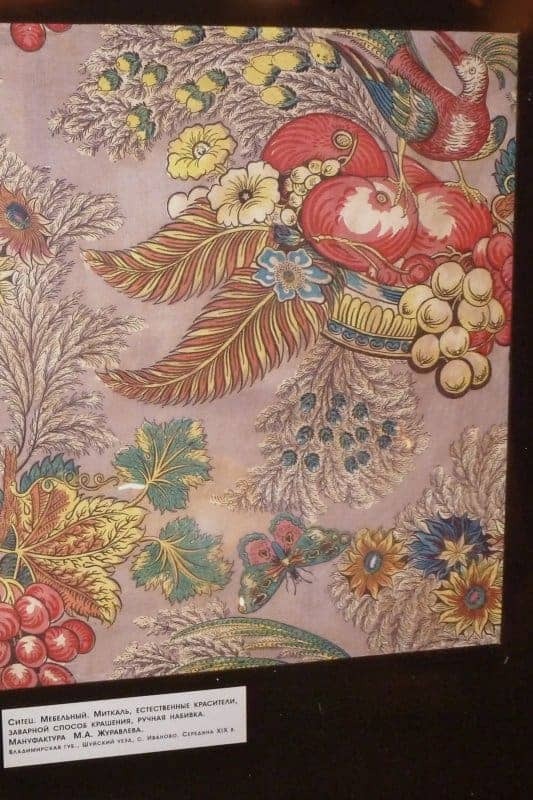 There are examples of early designs influenced by western European textile printing, and a succession of ever more sophisticated types of printing machine. 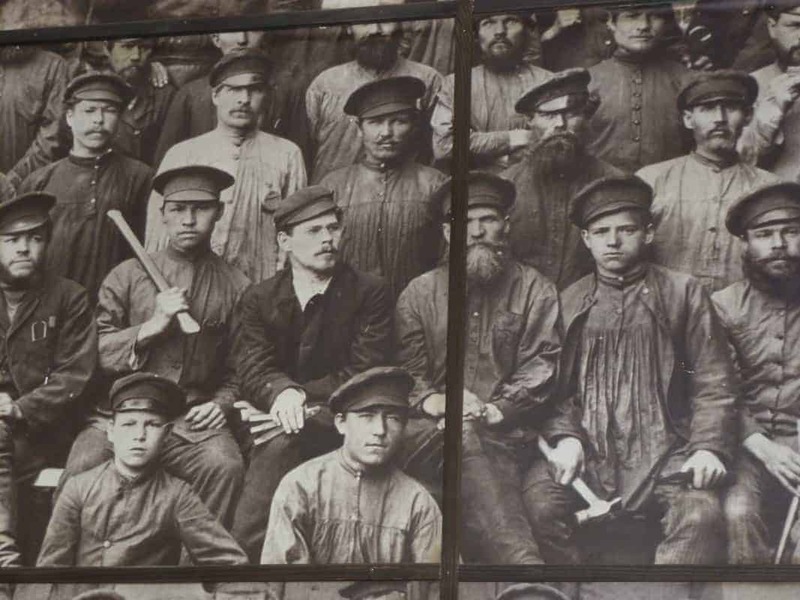 My favourite exhibit is a wall covered with photographs of the workers, circa 1900. Two of us who had visited this Museum before, in 2002, were disappointed to find that many of the most fascinating exhibits we remembered seeing then were no longer on display. These included fabrics, dress patterns and fashion magazines from the 1920s to the 1960s. 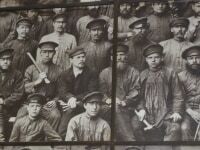 There was a chilling exhibit showing one effect of Stalin’s purges on everyday life – a commemorative headscarf printed with images of Lenin, Marx and Engels in three of its corners and the fourth corner cut away, to expunge the image of the disgraced Trotsky. 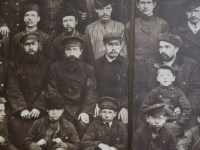 There was also a group photograph of Ivanovo workers of the 1930s, with two gaping holes cut out, again to erase people who had clearly fallen foul of the system. For centuries it has been the custom for Slav women to cover their heads. From the 18th century until well into the 20th, everyday headwear for Russian women, both married and unmarried, was the platok (meaning ‘kerchief’, ‘headscarf’ – or ‘shawl’, for the larger versions). Over the years, across Russia, and according to the means of the wearer, fashions in headscarves have come and gone. 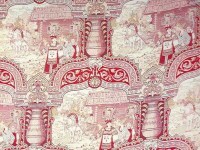 Early examples were made of linen or wool, dyed in a single colour or block-printed. Merchants’ wives and wealthier countrywomen bought silk or brocade scarves, or particularly elaborate ones embroidered in metal thread. 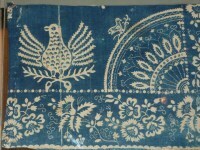 But perhaps the most distinctive and certainly the most colourful were those made from the bright printed cotton fabric which gained enormous popularity with the peasant population as ready-to-wear kerchiefs, for making whole garments (particularly chemises and aprons), and for decoration added to headdresses and other elements of their festive dress. 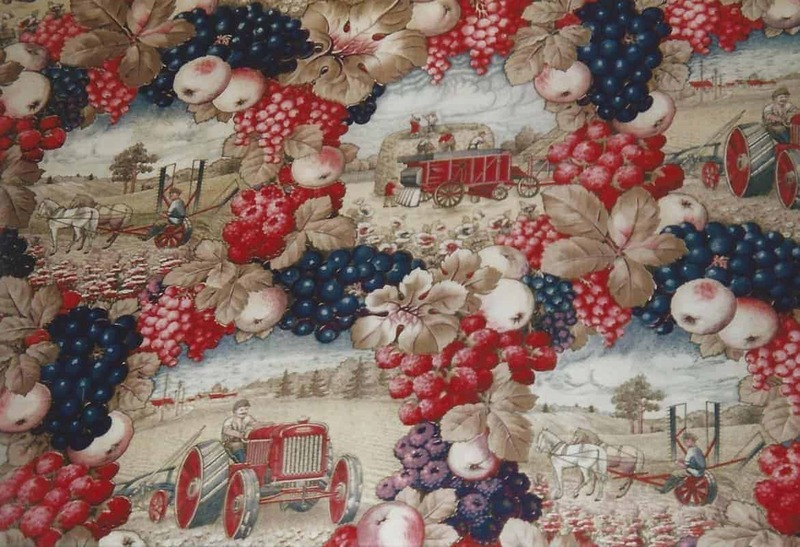 The fabric – known as sitets in Russian and generally translated into English as ‘chintz’ – was produced in huge quantities in the 19th century by an industry which grew rapidly in size and importance, leading to recognition throughout Russia and abroad. 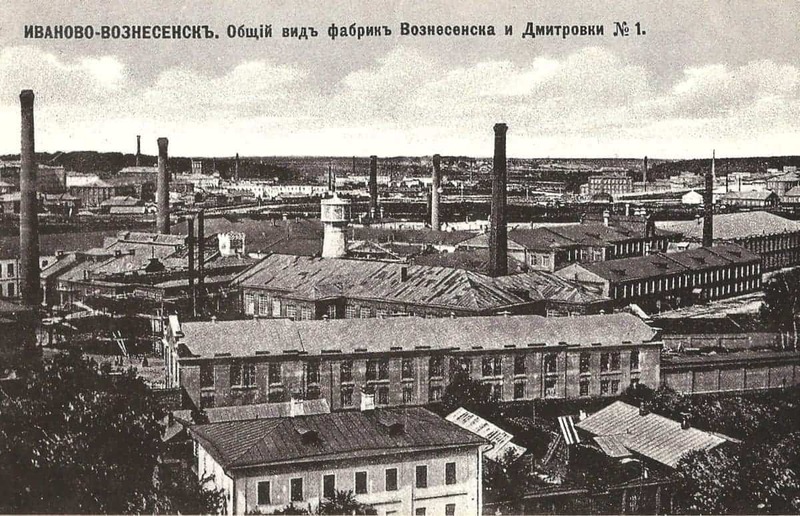 The main centres for the cotton printing industry were around St Petersburg and Moscow – and in the province of Vladimir, to the north-east of Moscow. 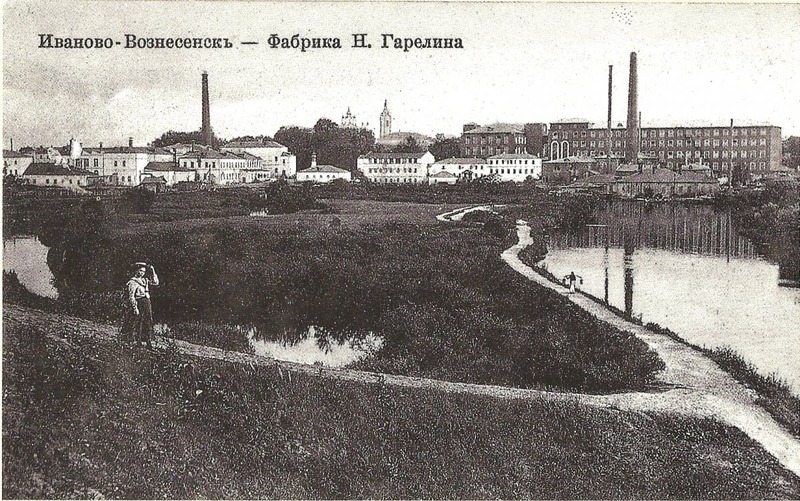 (A new province named Ivanovo was created in the 20th century, but in its heyday the important textile area of Ivanovo was within Vladimir.) Highways, railways and waterways including the Upper Volga river ran through this central part of European Russia, connecting it with all parts of the Russian empire and beyond, and enabling the import of raw materials, dyestuffs etc and the distribution of finished goods. In the 18th century the area was important for flax-growing and linen production, so the infrastructure and expertise in spinning, weaving and printing of textiles was to a great extent in place by then. 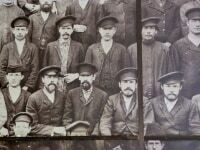 By the end of that century, most of the region’s linen printers had converted to cotton printing, aided by the falling cost of imported English cotton cloth due to the Industrial Revolution. 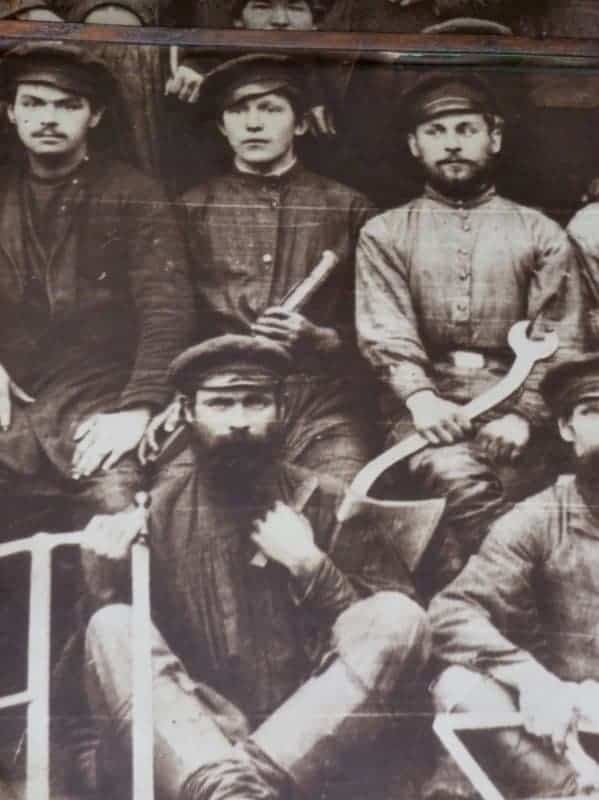 The industry developed by starting with the end of the production process: with printing on imported cloth established first, then weaving, followed by spinning, and, finally, in the late 1800s, large-scale cotton cultivation on Russian territory. 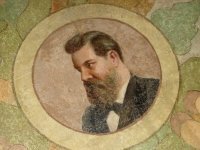 Numerous chemists, engravers and designers came from western Europe, and particularly from the famous textile-printing centre of Mulhouse in Alsace, to work in Russia and impart their knowledge to the burgeoning industry. 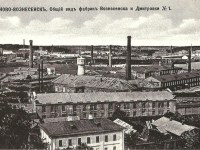 The ability to import the latest machinery from Great Britain after 1842, when it lifted its export ban, had a tremendous effect on Russian production. 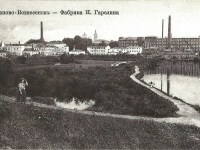 Rapid growth led to Ivanovo’s nickname, ‘the Russian Manchester’. Heavy machinery parts were shipped to the region by waterway and assembled in the factories. 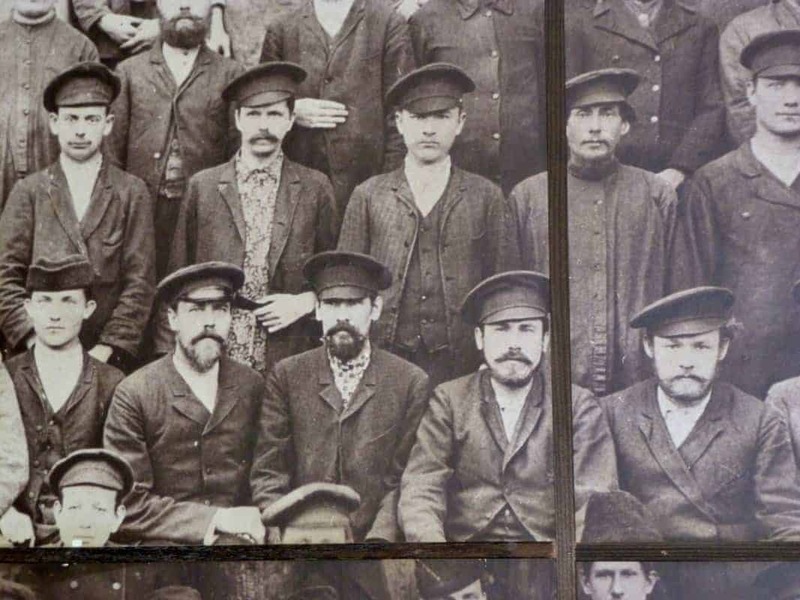 Before the 1917 Revolution, the city had several thousand companies employing nearly 30,000 workers. 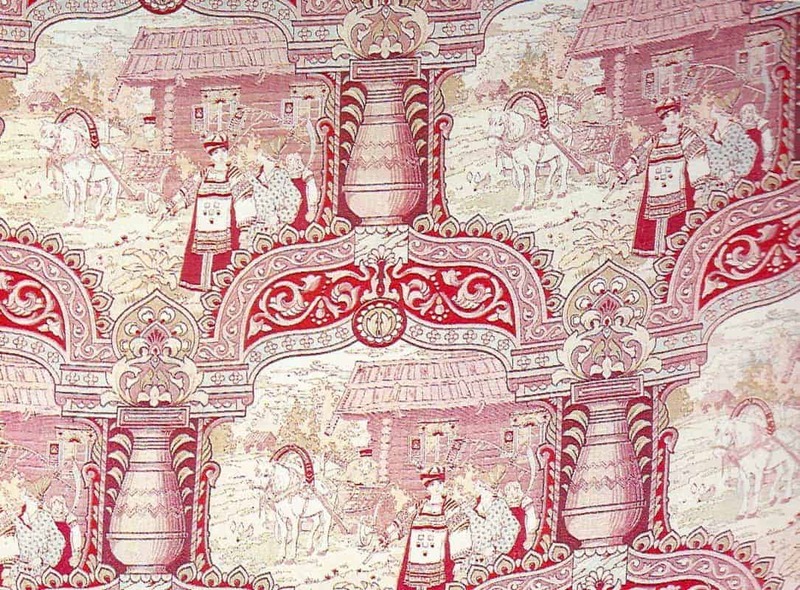 Ivanovo designs came from a variety of sources, such as western European silk textiles, adapted to suit local popular taste. 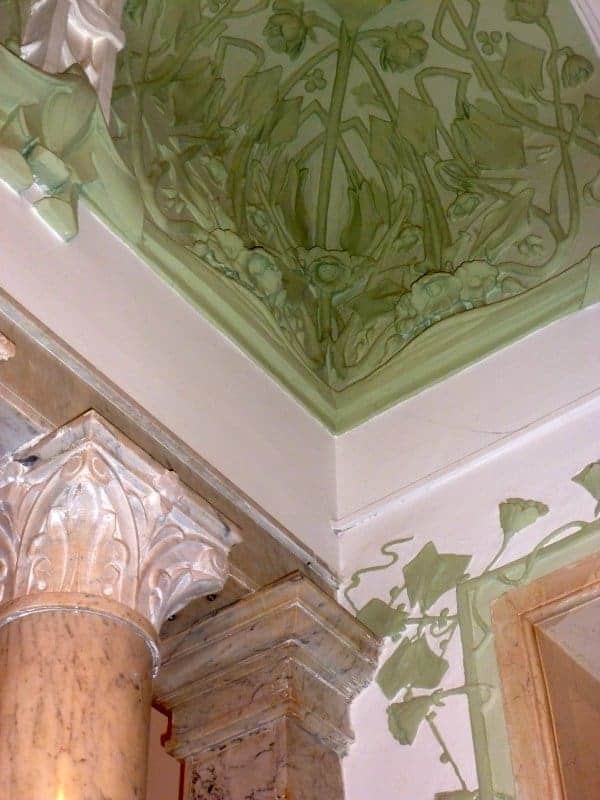 Some show the influence of Oriental decorative art, with exotic birds and vegetation; later ones reflect the Art Nouveau style. 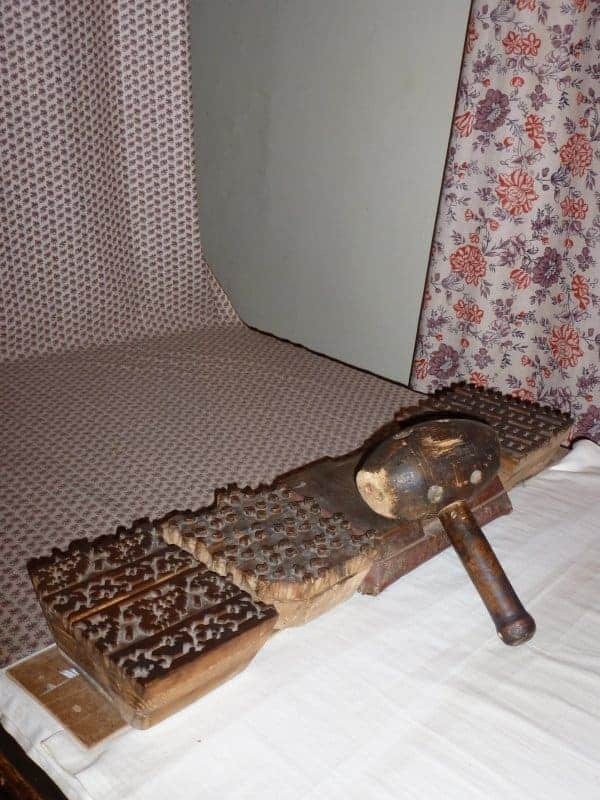 There was great demand from the rural population for these printed cottons, which were cheaper than other types of patterned textile where the decoration was achieved by means of weaving or embroidery. 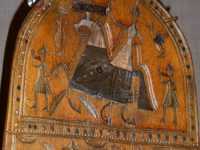 They referred to the fabric as ‘French sitets’, and bought it in markets or fairs, or from itinerant sellers of ‘red’ goods (ie ‘beautiful’ goods), who might be commissioned to bring particular designs the next time they came to the village. 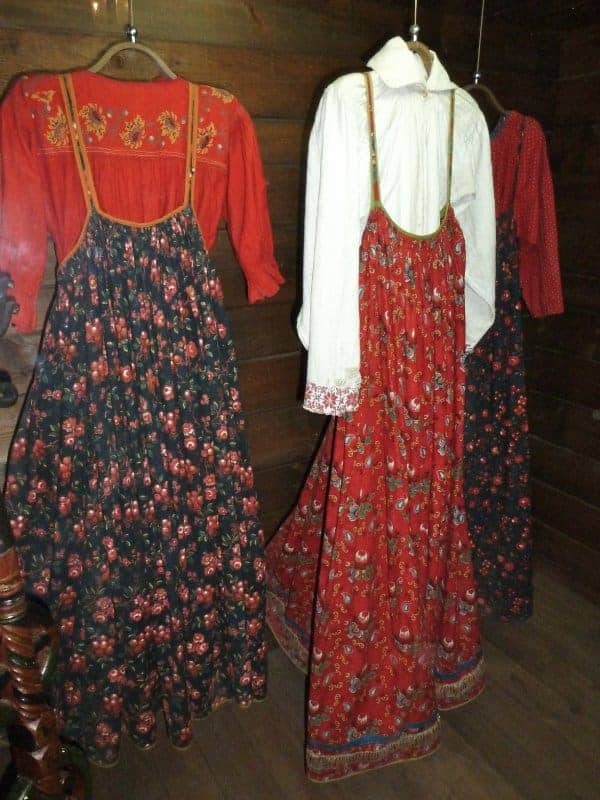 A key element of the peasant dress of central and southern Russia, the brightest kerchiefs were worn by young girls or newly married women, who often added further decoration for festive wear in the form of silk ribbons along the edges, woollen tassels at the corners, silk or bead fringes. 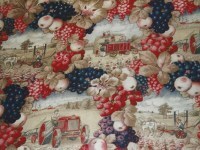 The fabric also found its way further afield. 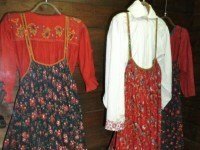 Red and yellow printed cottons appear in the ethnic dress of Dalarna, Sweden. Women peddlers known as Hårkulla (whose principal trade was in products made of human hair, such as lace and bracelets) travelled to and from Russia and then around Sweden selling the printed scarves, which were known there as ‘Russian rags’. 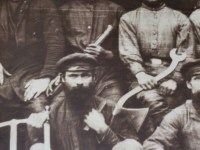 Russian prints are found in ethnic dress from both the western and eastern reaches of the Russian Empire, particularly Uzbekistan and other areas of Central Asia. 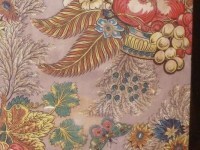 Linings of central Asian kaftan-like overgarments worn by men and women were made from Russian printed cottons with their striking floral or paisley designs. Some prints were designed specially for this market, incorporating Arabic lettering and featuring more green than for other customers. Great quantities were also sold to Mongolia, Afghanistan, Persia and China. 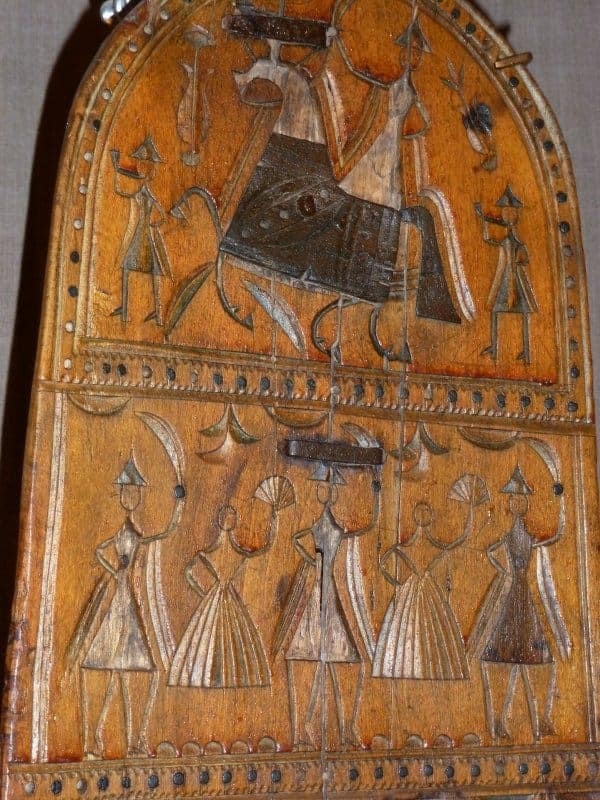 The industry experienced catastrophic collapse after the 1917 Revolution, and then a revival in the 1920s and early 30s, when designs reflected the official preoccupations of the time, incorporating images from agriculture and industry such as wheat sheaves, tractors, aeroplanes or machine parts. Decline soon set in again and further collapse occurred after the dissolution of the Soviet Union in the 1990s. 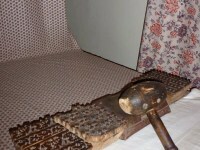 In the 21st century some textile-printing still goes in the Ivanovo region, producing fabric for dressmaking or more often for household use.